Owning a vast area for a yard would be an advantage for those who love to have the fresh green color surrounding the entire place. Whether you are planning to create a new landscape upfront or considering reseeding the bald turf, it always starts with choosing the right seed for healthy grass. Do you need help in selecting the best grass seed for a new lawn? The right choice would mean a beautiful and refreshing scenery that you dream of having. I have the Top 5 brands of the best grass seed there is in the market. I have purposely prepared the list to help you decide on what is best. Whatever you end up with, guaranteed that it is of the most excellent quality and consumer’s favorite buy. Pick your choice! 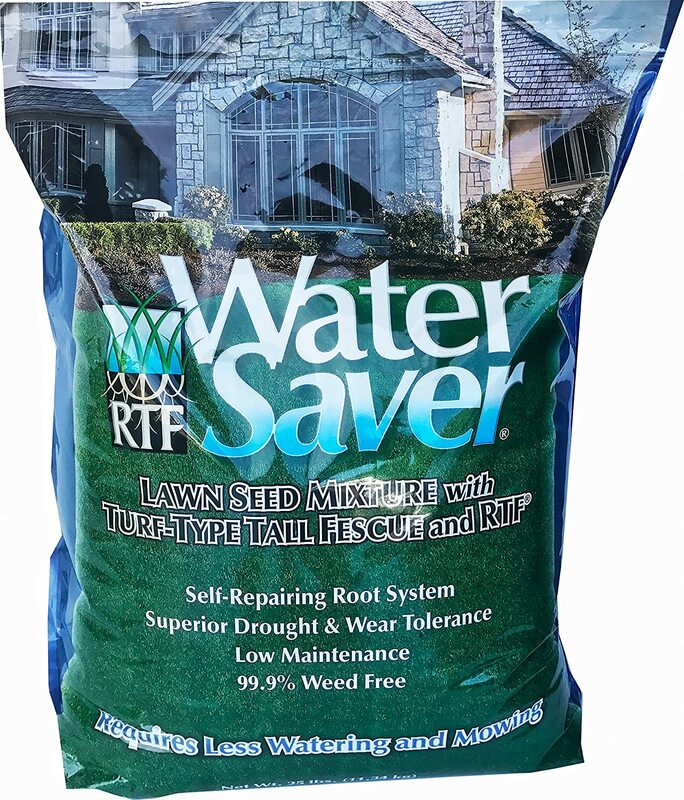 If you found bald spots on your turf or patches of dying grass in the corner, WaterSaver grass seed mixture is perfect to knit the lawn together by rapidly filling in the damaged, exposed spots in the whole yard. This brand is convenient for busy people who cannot spare time in watering and mowing the turf. The product is declared as low maintenance and self-repairing turf. With this mixture, it is great with a lot of sun or shade; hence, you do not need to worry about the transition with the right climate. Most importantly, the patent RTF fescue creates strong root system with less overseeding and lesser weed problems. In fact, it enhances drought tolerance. Lastly, this grass seed can endure stressful weather conditions and maintains its cool green color. The product itself provides excellent protection against insects and plant diseases. 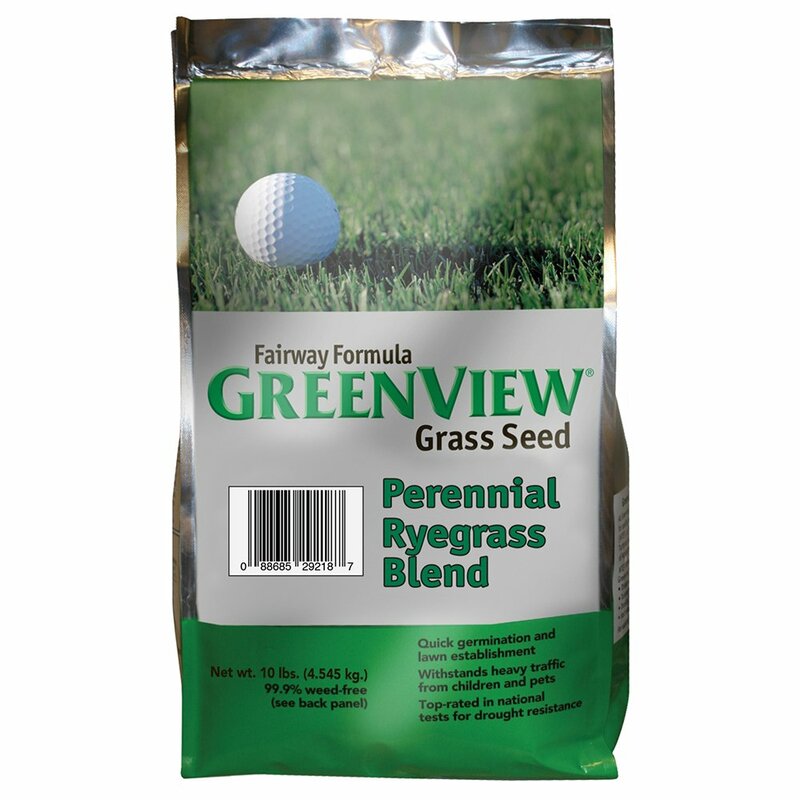 GreenView’s Fairway formula grass seed is 100% perennial ryegrass mixture that is ideal when you want to expect fast grass growth of a green, healthy lawn. These grass seeds will scatter and establish quickly, and if your soil is compact, this brand is the right choice. If you like to have a superior, dark green and glossy lawn color, I highly recommend this kind of blend that is excellent for heavy foot traffic spaces. The 10-pound bag contains top-rated seed varieties for a premium mixture and can cover an approximate 3333 sq. ft. of the new lawn but covers twice as much when overseeding an existing one. Do you know that this mixture guarantees 99.9% weed-free? Notice that it is more of a clump-forming grass and is less likely to develop thatch problems. The grass seed has a natural ability to fend off crabgrass invasion. Although it is best in sunny weather, it will also thrive on average cold winters. ​It is fall, but you just need to do some new landscaping or reseeding. 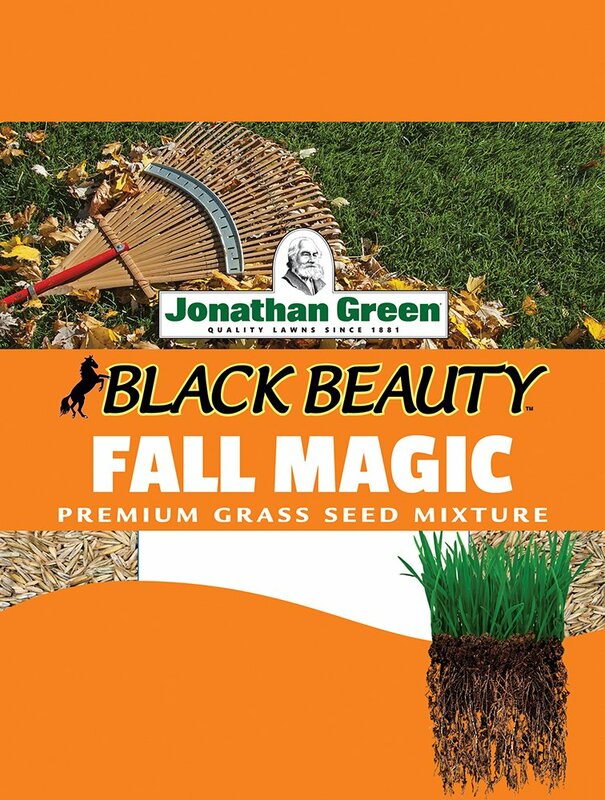 Jonathan Green’s fall magic grass seed mix is perfect for your endeavor. This product is popular for successful fall seeding that suits both already established and new lawns. The mixture repairs summer damage and provides an attractive, thicker, and greener lawn even at the start of autumn. You can use this blend in the sun and shaded areas. The three lbs. of grass seed mixture in a bag covers 1500 square feet area. It works well with brown dead spots or areas that your dogs would find fun to beat, and it only requires minimal soil preparation. Scatter the seeds to your lawn, and you will be amazed to see new grass sprouting within two-4 weeks. This grass seed is law maintenance and is easy to use for a lush private landscape that you desire. 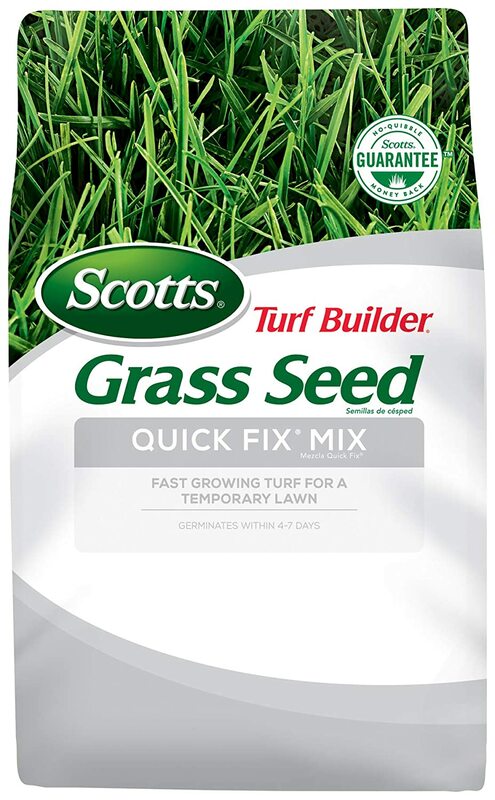 When you need a fast growing turf as quickly as possible, Scotts Turf Builder is a Quick Fix Mix Grass seed that guarantees to solve your problem. The 99.99% weed-free mixture provides ground cover up to 750 sq. ft. and erosion control. Usually, this product is best to repair temporarily bare spots in your lawn. Can you believe that if properly watered, it quickly grows and covers your lawn in just 4-seven days? The mixture contains perennial ryegrass seed variety that will provide fine texture and rich green color to your turf. It does not only grow fast but also blocks out weeds from growing and spreading. It thrives best in sunshine but also tolerates partial shade. The all-natural 3 lbs. bag of the mixture is just for the quick need of green grass in one area, and it will die eventually; that is why I say it is a temporary fix since you need to reseed the following year again. 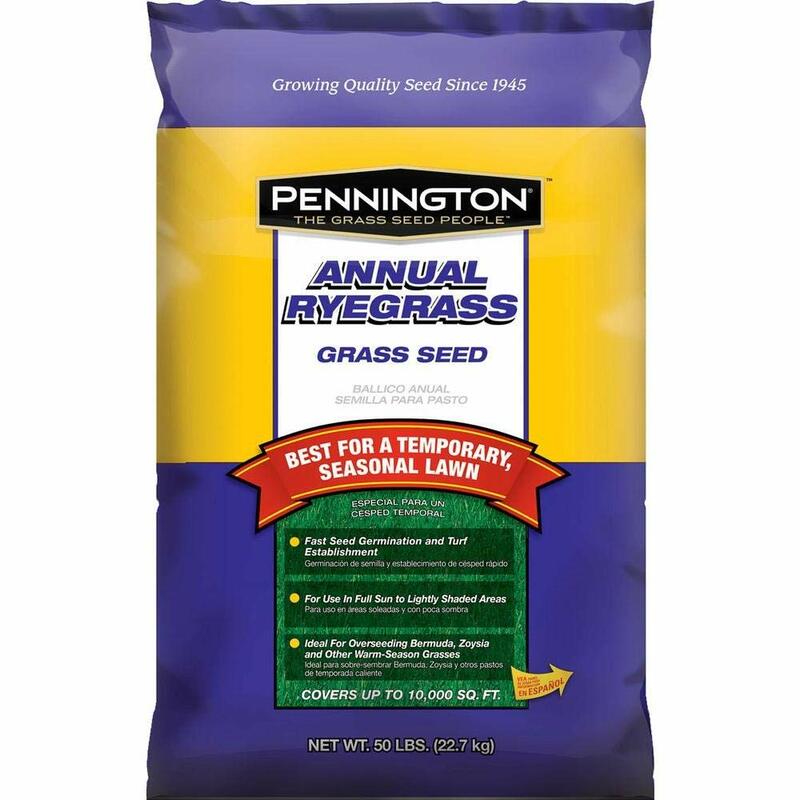 If you are looking for grass seed for overseeding during the summer, Pennington annual ryegrass is perfect. The 50 lbs. bag establishes quick and temporary green grass. This product is usually perfect to overseed warm-season grasses during the winter or cold season. Using Pennington Ryegrass mixture will keep your lawn fresh and green all year through. The 50-lbs. a bag can cover a ½-acre area of turf. What I love about this mixture is the minimal soil preparation and still yields close to 90%. With the reasonable price, it sure will meet your expectations. Hence, if you leave in a warm climate, choosing this product may be wise enough. Have you already decided what to buy for the best grass seed that suits your lawn? Keep in mind that in buying, you should consider the climate, terrain, and the type of grass seeds available. I suggest that buying the right product is essential if you are planning to make your landscape always rich and green. If you are a passionate gardener, maintaining your lawn always comes as a priority. 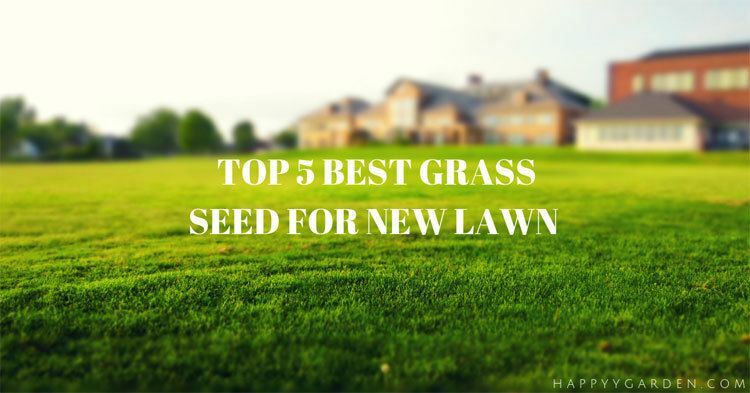 However, choosing the best grass seed for a new lawn is not just the key to success. Do not forget that you need to take good care of them as well. Have you decided on what to buy? Good luck! Previous Post How To Cut Back Overgrown Rose Bushes The Best Way? Next Post How Long Does It Take Grass To Grow – Are You Willing To Wait?